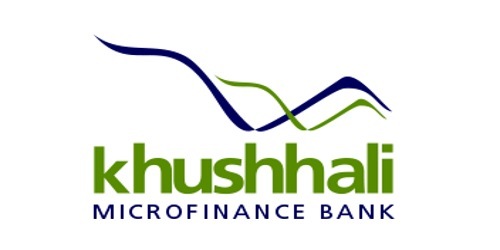 It is a broadly described annual report of Khushhali Microfinance Bank Limited in the year of 2015. During the financial year, Total Assets of the Bank increased to Rs. 26.7 billion as at 31st December 2015, registering a remarkable increase of 60% over Rs. 16.7 billion last year. The retail deposits increased to Rs. 15.6 billion from Rs. 8.7 billion Y-o-Y. The Share capital of the Bank stood at Rs. 1,705,000,000 million. The Bank registered Profit before Tax (PBT) of Rs. 1.2 billion, a growth of 25 % as against last year. The Bank’s balance sheet increased to Rs. 26.6 billion, a significant growth of 60% over 2014. After-tax profit stood at Rs. 824 million, 17% more than the last year’s profit of Rs. 703 million. The EPS for the year ended 2015 is Rs. 3.87 per share as compared to EPS of Rs. 3.30 per share in 2014. As of 31st December 2015, the Bank’s capital adequacy ratio (CAR) is measured at 21% against 25% last year. The Bank’s CAR was well ahead of the mandatory requirement of 15% as per the Prudential Regulations (PR) for Microfinance Banks.